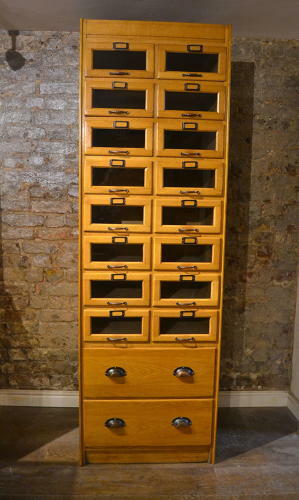 Charming shirt cabinet from the 1930s which is much smaller than the normal. In good original condition. Ideal for retail storage or private use.